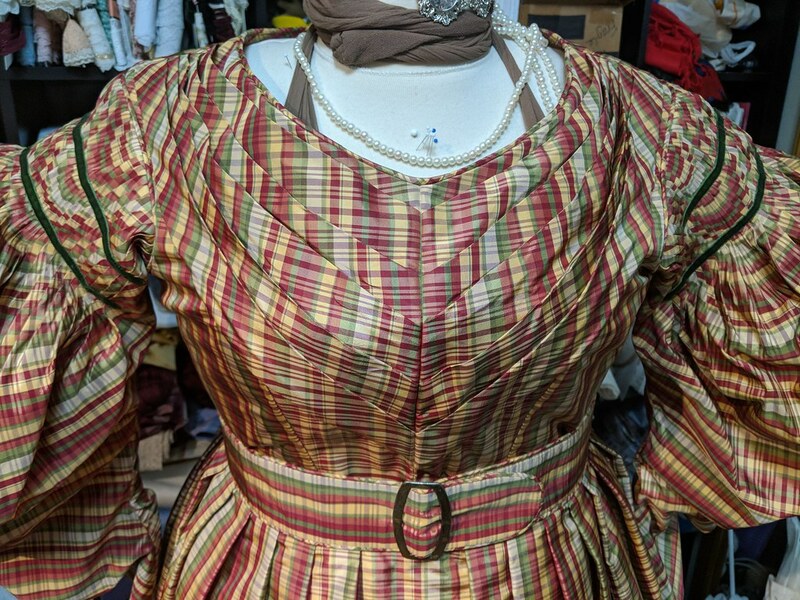 I still haven't figured out what kind of collar (if any) I want for the 1830s dress. I may run out of time and not make one at all. But I did start on the bonnet. 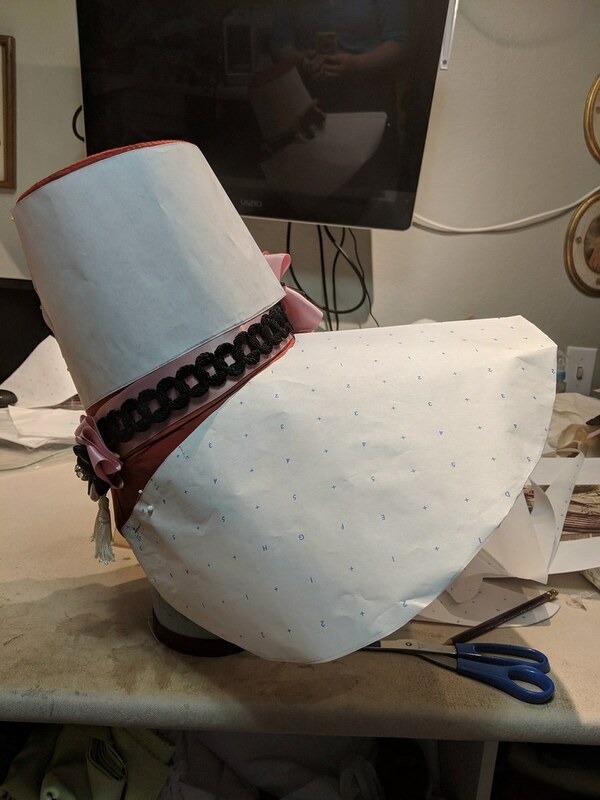 I mocked it up with paper on Tuesday, kind of loosely basing it on the shape of my Regency tall bonnet, except with a slightly shorter crown and an absolutely ginormous brim. 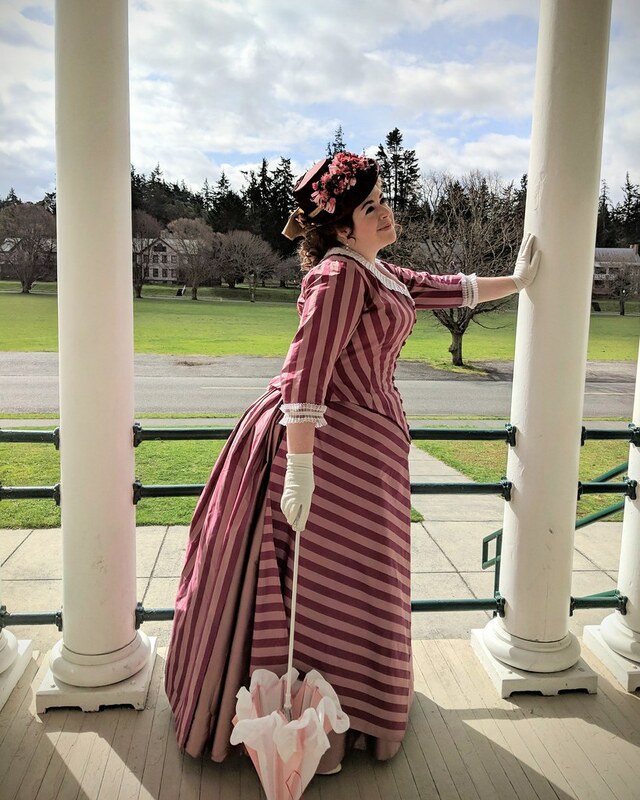 Naturally, I either did not make or just could not find the pattern I used for that, so I had to figure this out by basically wrapping various shapes of paper around the Regency one, then tweaking them and doing it again. I did get to the point yesterday, though, where the shapes appear to be working, so I cut out the buckram layers. I'm still kind of waffling about what fabric to use to cover it. 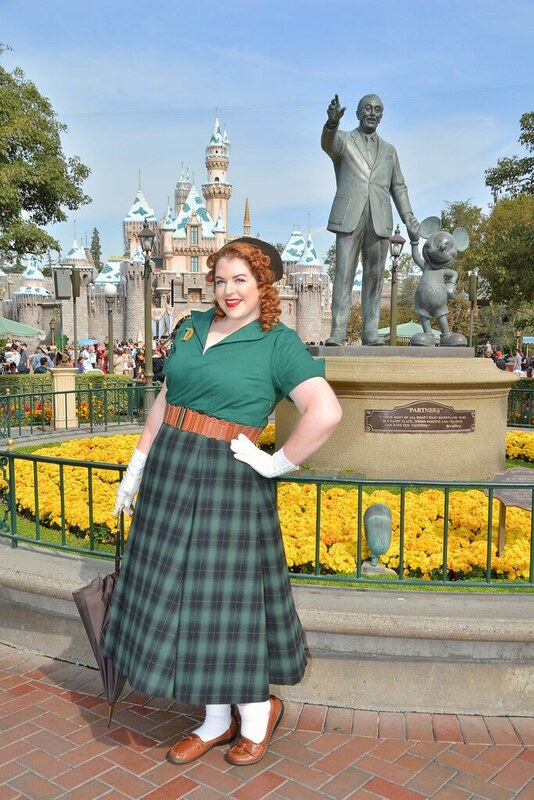 I think I have enough of the plaid left where I could just do that, but I don't want it to be matchy-matchy. 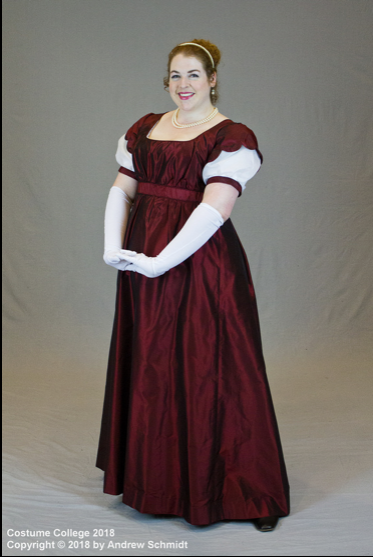 But I don't like any of the other silks I have except these deep burgundy/crimson, which would be perfect except that I currently have barely enough where I can maybe squeak out a garment, so I don't want to use up any of it on a bonnet. 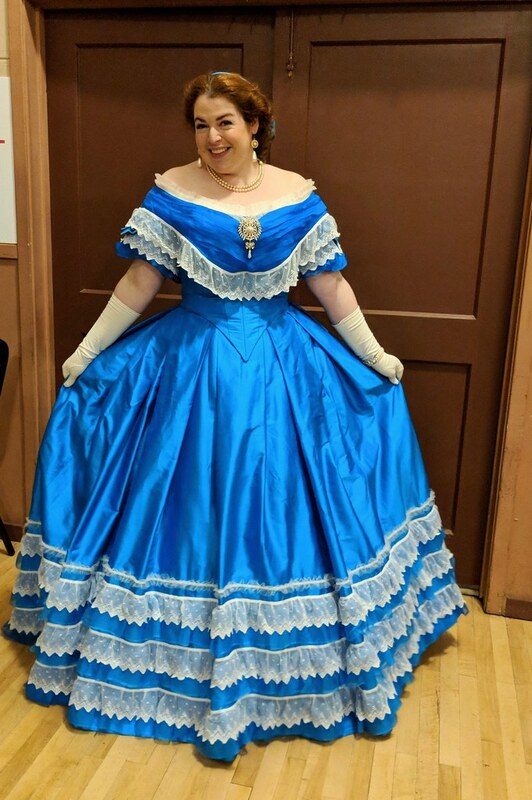 I have a similar color in a poly taffeta, but I feel like it's somewhat obviously poly. I'm debating about hitting Joanns on my way home tonight, but I know they're not going to have silk, so it would just be about finding a fabric that maybe doesn't look 100% poly... I don't know. I wish I had olive silk. That would be perfect. Here's a pic of one of the paper mockups. 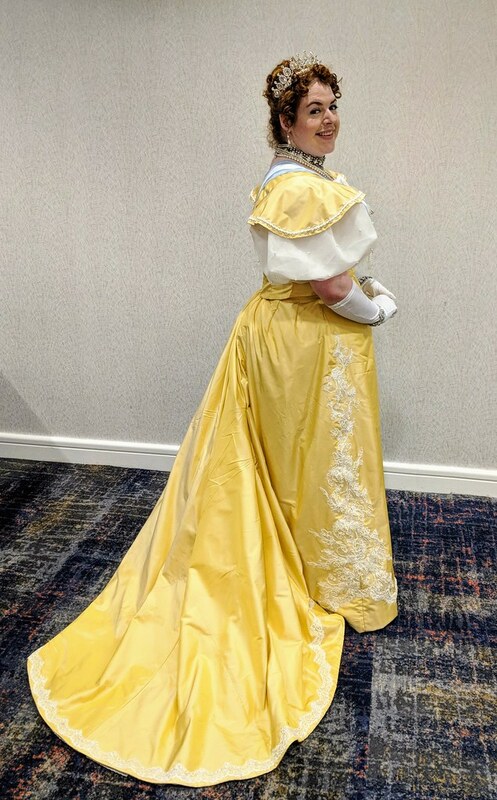 I changed the crown to be about .75" shorter than the Regency crown, and the brim now matches the shape of the Regency brim where it meets the crown, but otherwise this is what it looks like. 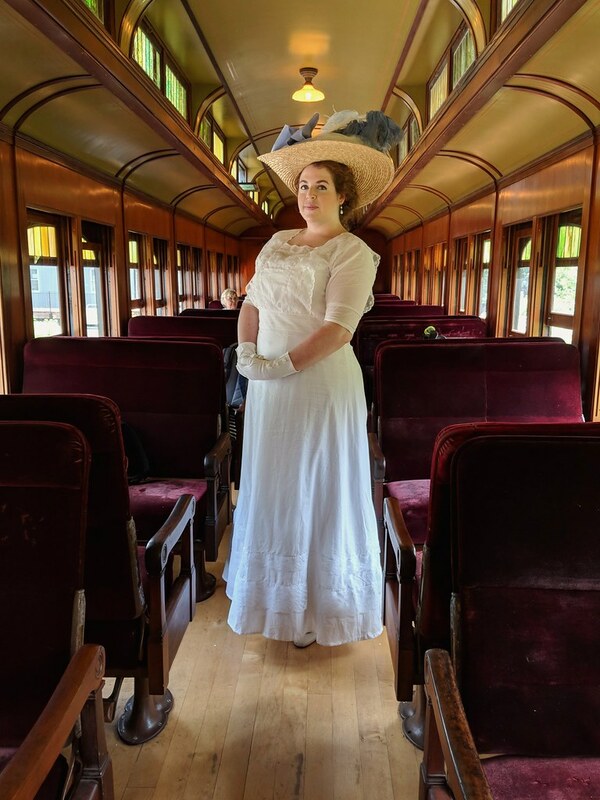 I decided to go with the silk organza for the cap, and I made up most of it yesterday afternoon. 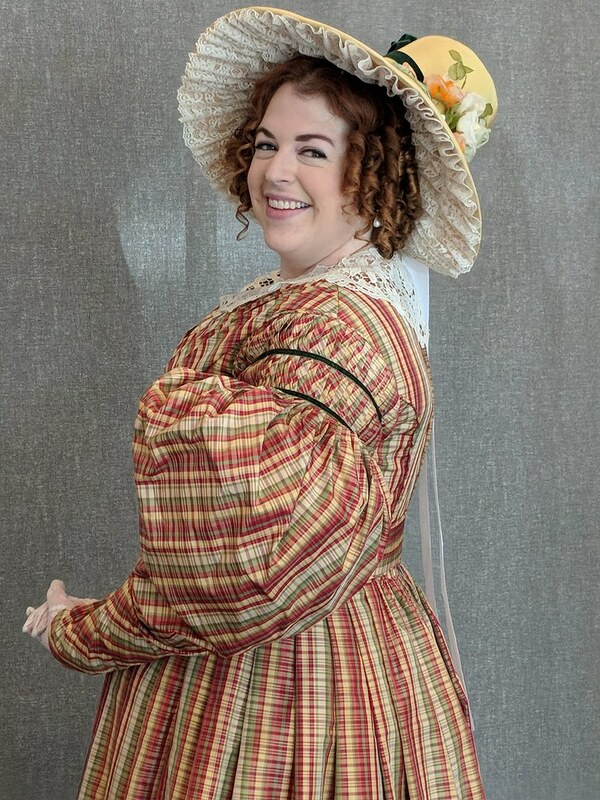 I took the basic shape of the 1780s cap from the American Duchess book, and compared it with a couple cap shapes in the Workwoman's Guide from 1838. None of them were big enough, so I enlarged it until it was 22" tall, and I think 21" across. In hindsight, I should have added at least a couple inches more to the width, since it seems taller than it is wide, but so were all the cap diagrams I looked at as reference. I used two straight pieces, 24"x2.5" for the band, and turned in the long edges so that they were about 1.5" wide. I sandwiched the gathered part of the crown and the gathered part of the ruffle between the two band pieces along each side of the band. 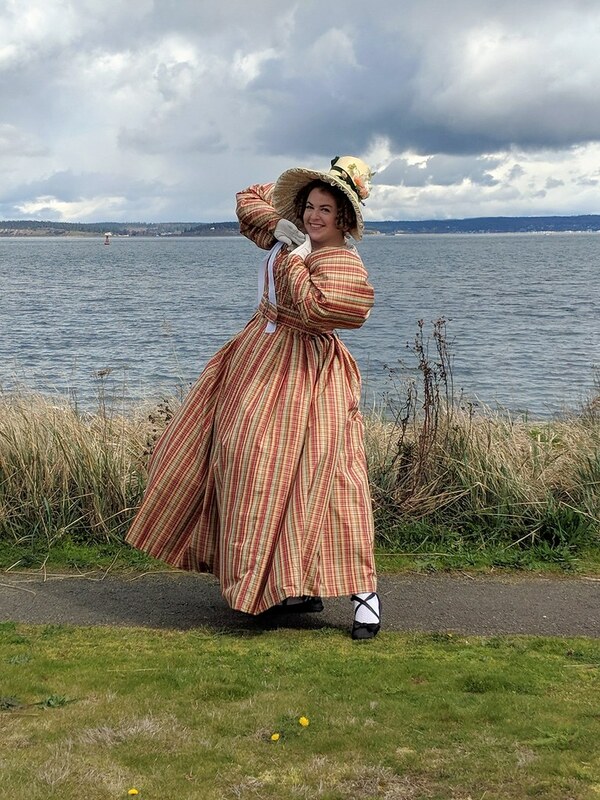 The ruffle is about 60" long, 4.5" wide at the widest point, tapering out to about 3.5" or so at the ends. I turned in a hem, and added vintage lace along the turned in edge. Everything is machine-sewn except for attaching the ruffle and turning up the ribbon channel for the nape of the neck. 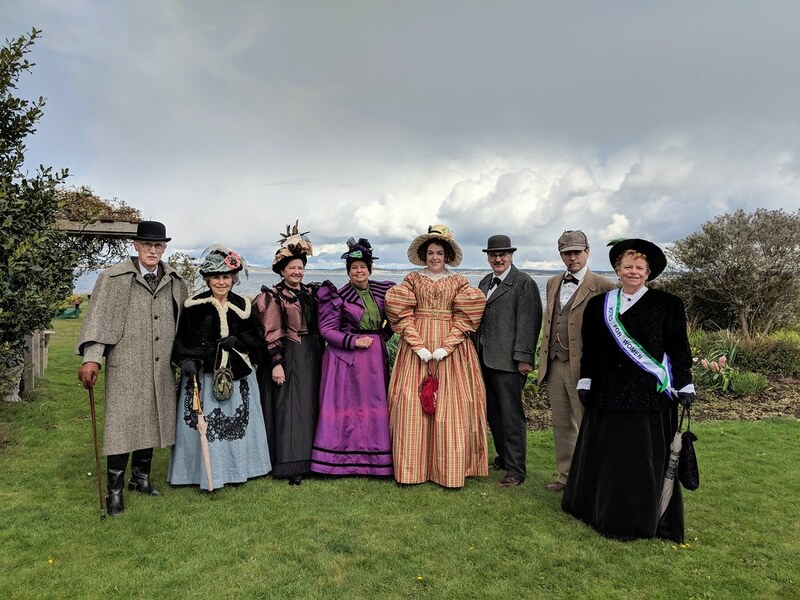 I'm heading to Joanns in a little bit to pick up ribbon for that channel, plus decorative ribbon for the ties under the chin and for the top of the cap. 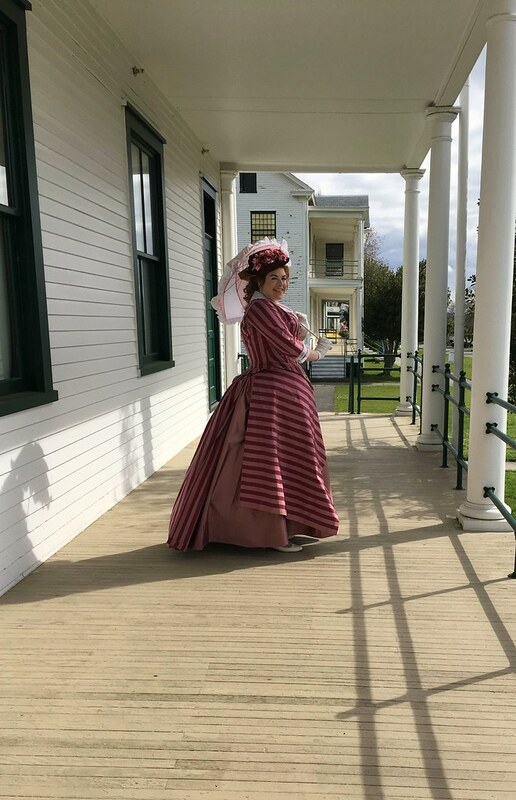 I re-pleated one of my sleeves on Tuesday afternoon, added velvet ribbon over the pleats, and even managed to attach it to the bodice. So at this point, that sleeve just needs a hem (or a band, I haven't decided yet), and then it's done. I'm hoping to fix the pleats on the other sleeve today, though I also still need to pleat the lining of the second sleeve as well. 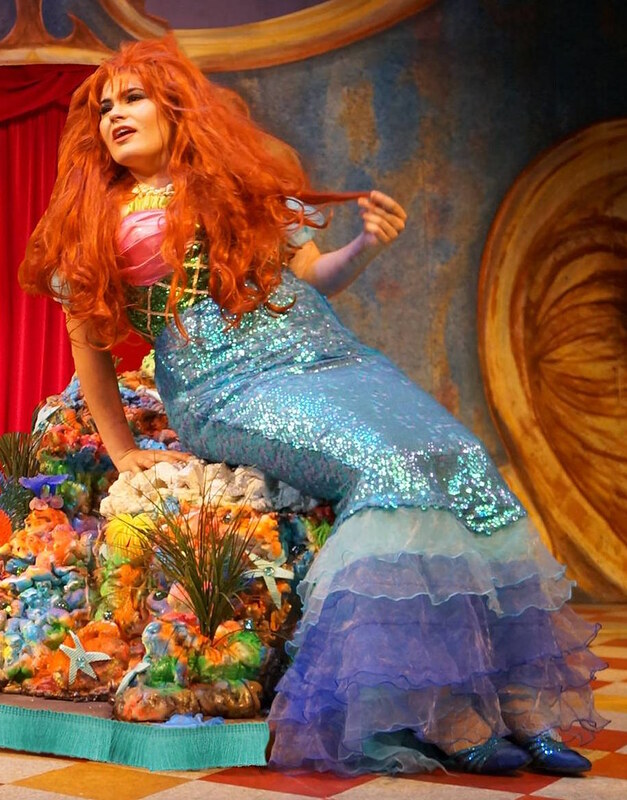 And I only have about 30 mins of potential sewing time between work and rehearsal today. Sooo... not sure how much will actually get done. Anyway, here's some pictures of the sleeve and the dress so far. 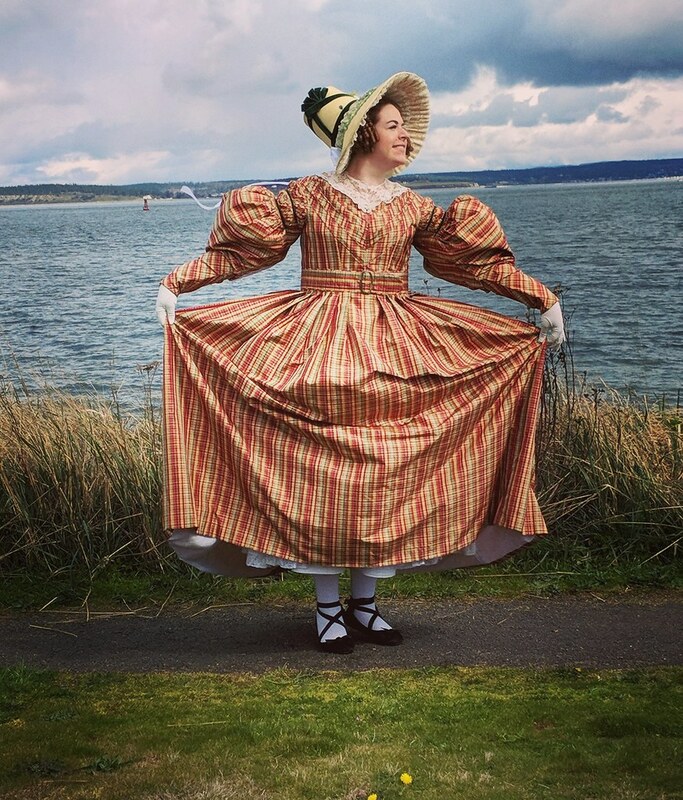 The dress also still needs a hem, the hooks and eyes up the back, and the bertha. 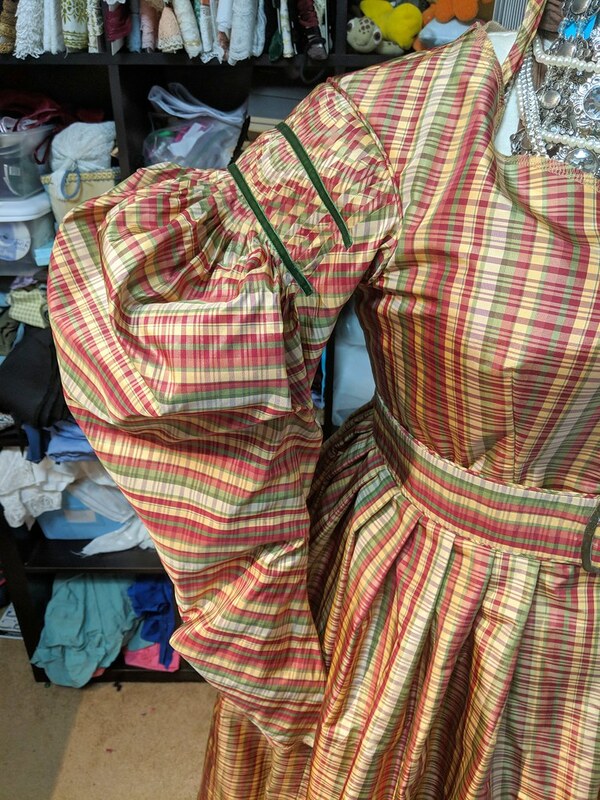 I finished pleating the silk for the sleeves yesterday before rehearsal, and went to go try on the sleeves to see how they looked, and the pleated section was HUGE. 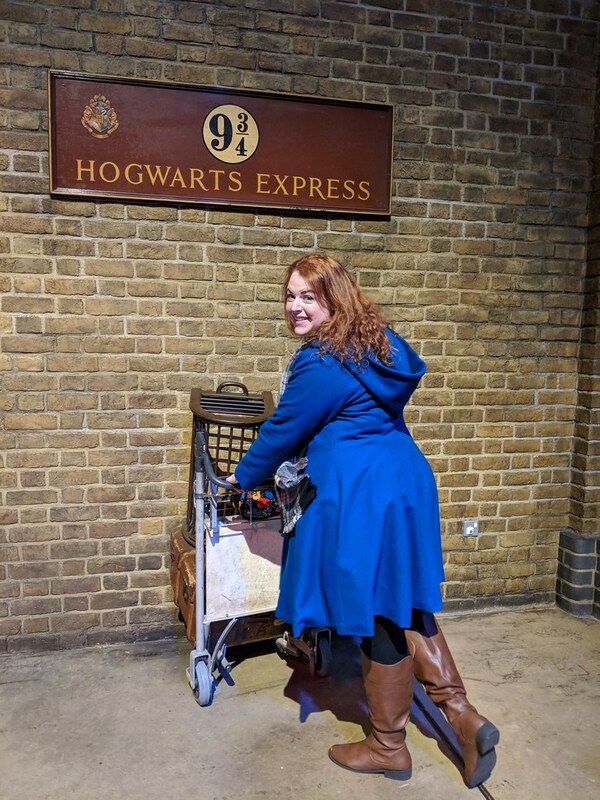 Like, way too big for my arms. 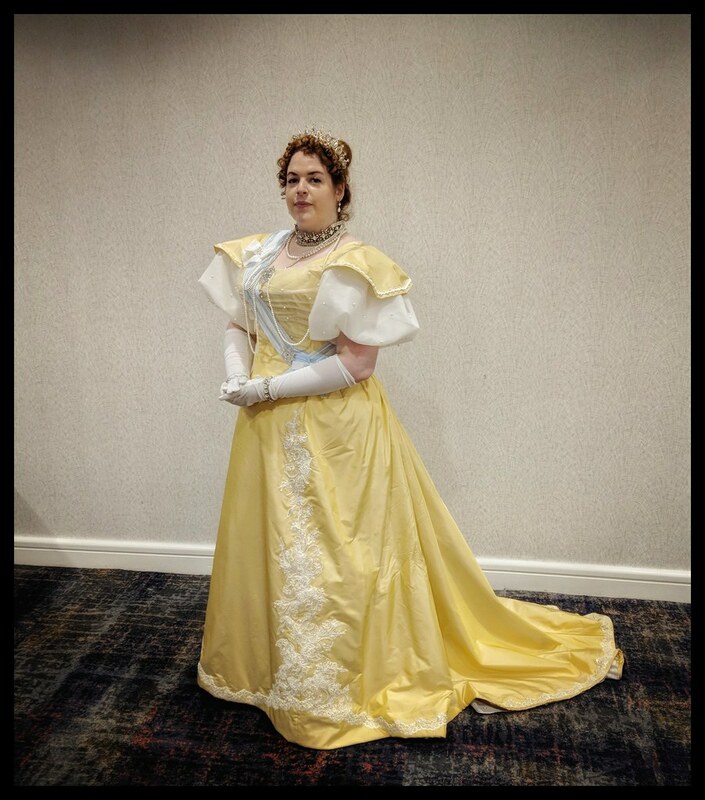 I think I somehow need to pleat it down to get at least 2" or more out of the lowest pleats (before it balloons out to the puffy sleeve. Which probably means repleating everything, which I soooo don't want to do. Why is this dress being so naughty? I wanted this to be a quick project. Anyway, I will probably have about 2-2.5 hours to work on it between work and rehearsal today, so I really hope I can get them to play nicely. On the plus side, with just random pleating, I was able to pleat down the armseye edge of the sleeve to somehow exactly match both armseyes. So in other words, that part is fine - it's just over the bicep that's not working. I didn't get nearly as much sewing done this weekend as I wanted to. 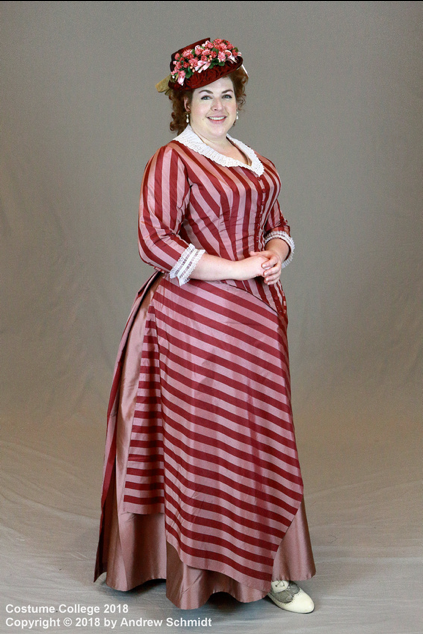 Mostly because I decided to line the skirt for the 1830s dress, and that took FOREVER. 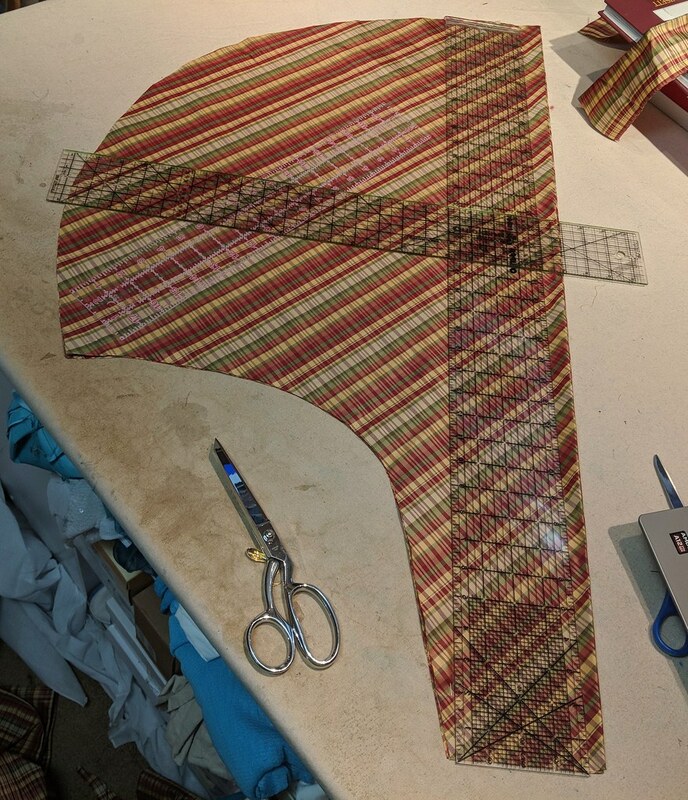 I ripped all my organdy lining panels, so I know they were on grain, and it is very easy to see the grain of the plaid, but the organdy did not want to play nice. Why is organdy so moody?! 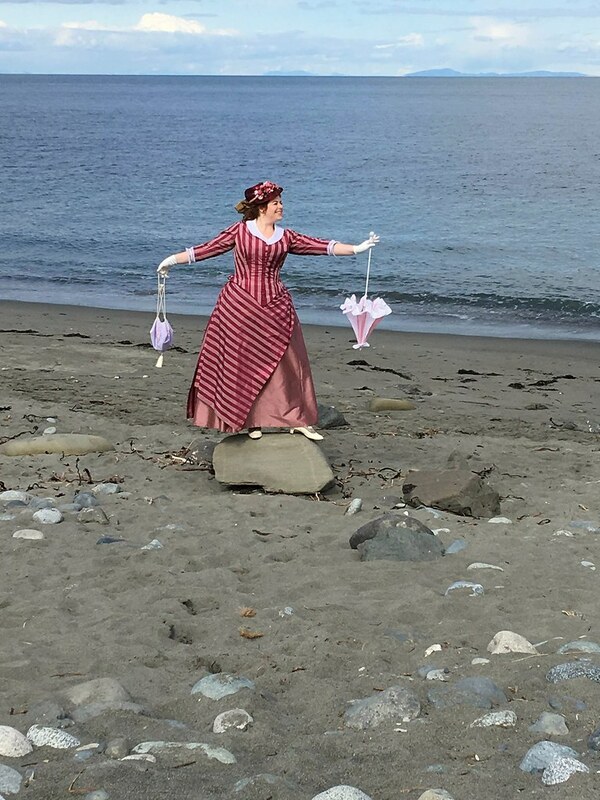 So anyway, it took me all of my available sewing time on Friday and Saturday to get those together. 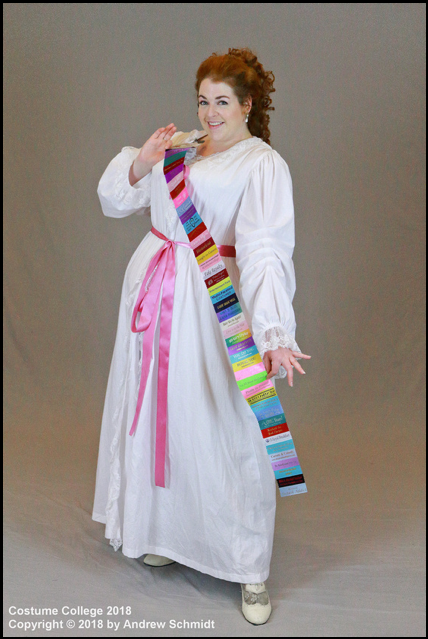 On Thursday night, though, I piped the bodice seams and armseyes, made the belt, and finished cutting out the sleeves. So anyway, I have a short rehearsal tonight, but since it's short, I'm hoping that I can maybe finish setting the sleeves tonight. 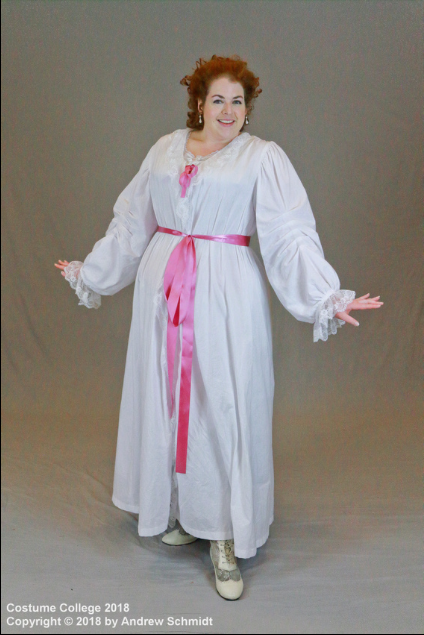 Because then it's pretty much just bertha and hemming, and I'll be done! 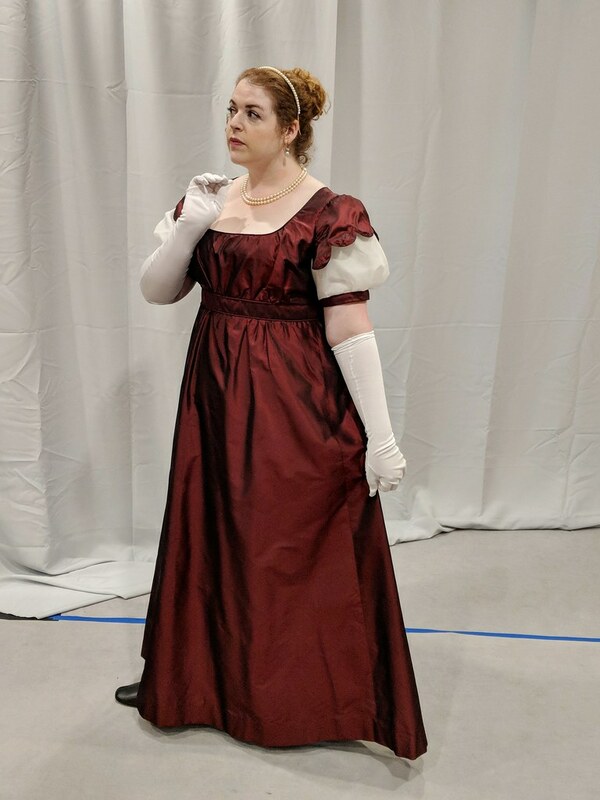 I got a tiny bit done on the 1830s dress yesterday between work and rehearsal. I cut out the other sleeve lining, and then started on making the piping. I cut about 7 yards worth of bias strips, and got maybe .5 yds actually sewn before I ran out of time. Usually I use a cotton yarn for making piping, but it always looks so tiny that it almost seems pointless. So this time I'm using a thicker acrylic yarn. Hopefully it works out okay! 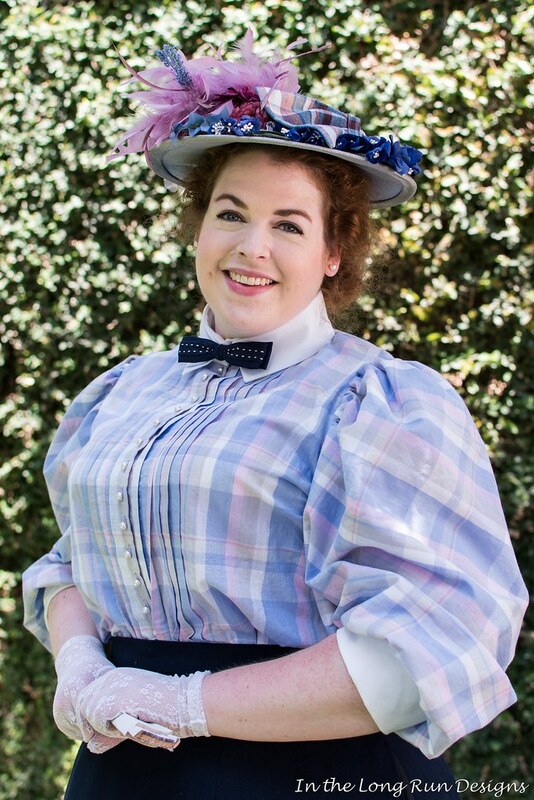 I would love to at least be able to finish making the piping today, but I work later today than I did yesterday, and still have rehearsal, so even that might be too much to accomplish today. For lack of better sewing content, here's a picture of my giant sleeve. 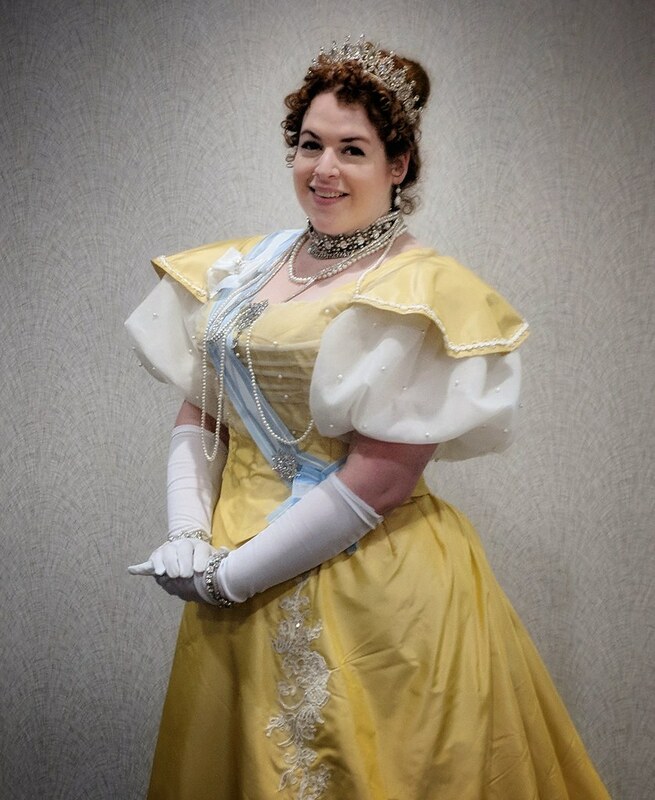 I guess I was too overeager about assembling the 1830s bodice. I forgot the piping in the side-back seams. Whoops! Luckily, those are the only bodice seams that are being piped, so I just have to redo those two. 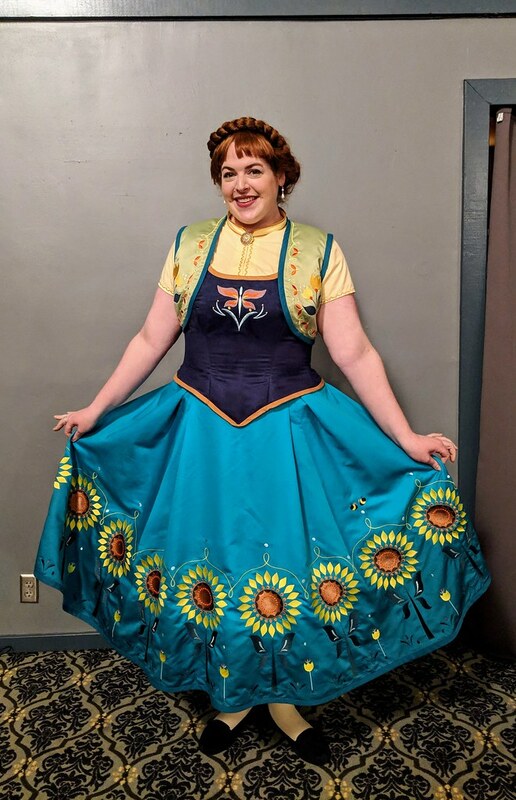 I didn't wind up going to see a movie yesterday, so I mocked up a sleeve, and tried on the bodice. The sleeve was close, which is good, because it means I can use it as the sleeve lining. 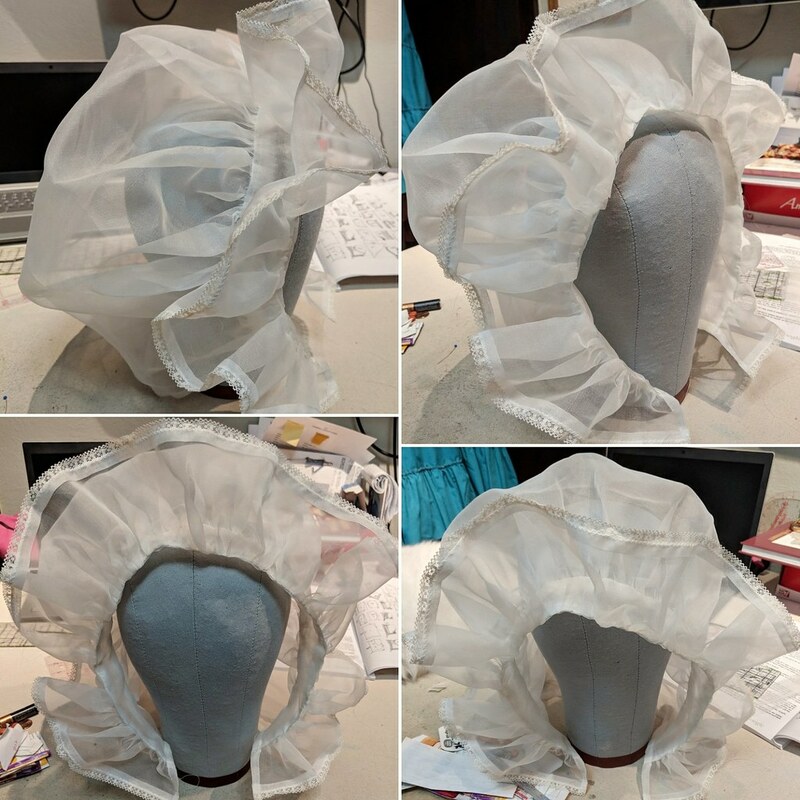 I increased the size of the sleeve head by about 4" afterwards, and changed the shape slightly where it balloons out to the upper portion, because I wanted the drape to fall a little lower. Then I cut out the sleeves in the silk (I still have to cut out the other lining sleeve). I also messed around with the neckline - I made it a little lower and a little more scooped and a little less v-neck. I played around a little with how the bertha might work - it definitely needs to be on the bias. 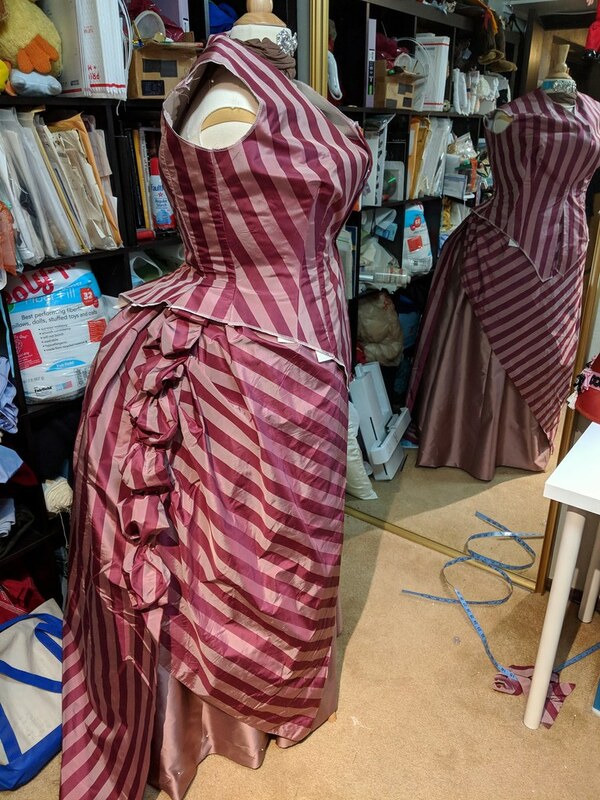 But that means I'm limited in how deep the pleats can be at the CF, because I don't think I have as much fabric left as I need. 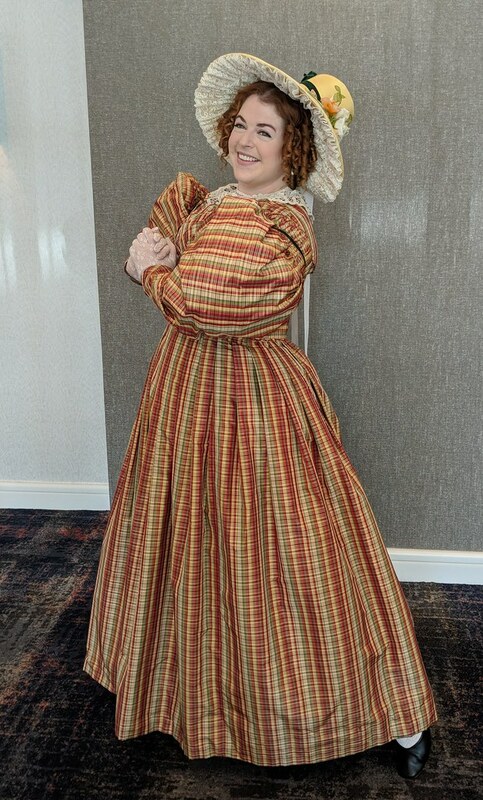 I've decided to go with a slightly later timeline for my 1830s dress - I've already done early 1830s a couple times, so for this one, I'm aiming for about 1837-38. 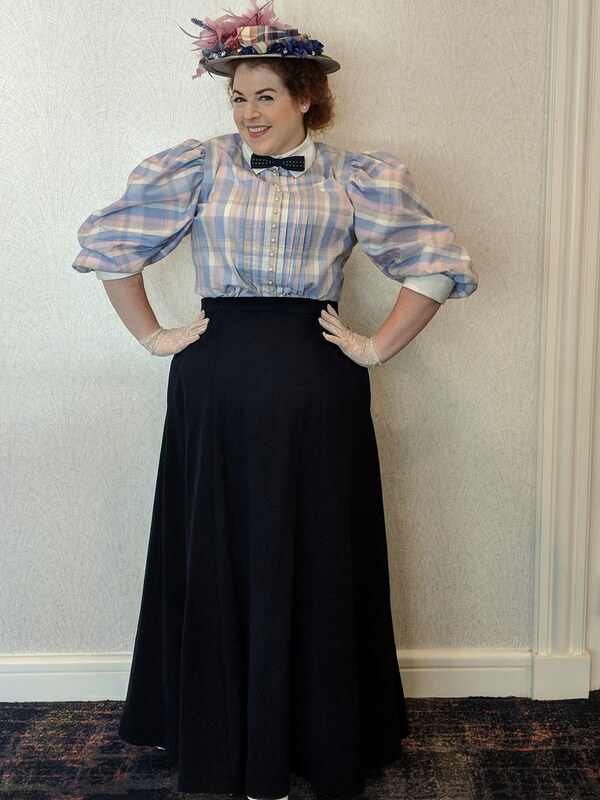 Which basically just means slightly fuller skirt, and I'm going to pleat down the top few inches of the sleeves. I'm still trying to decide whether I want a two piece sleeve like in my original inspiration (which was from the early 30s), or go for a gigot sleeve, which seems more common. Any opinions? 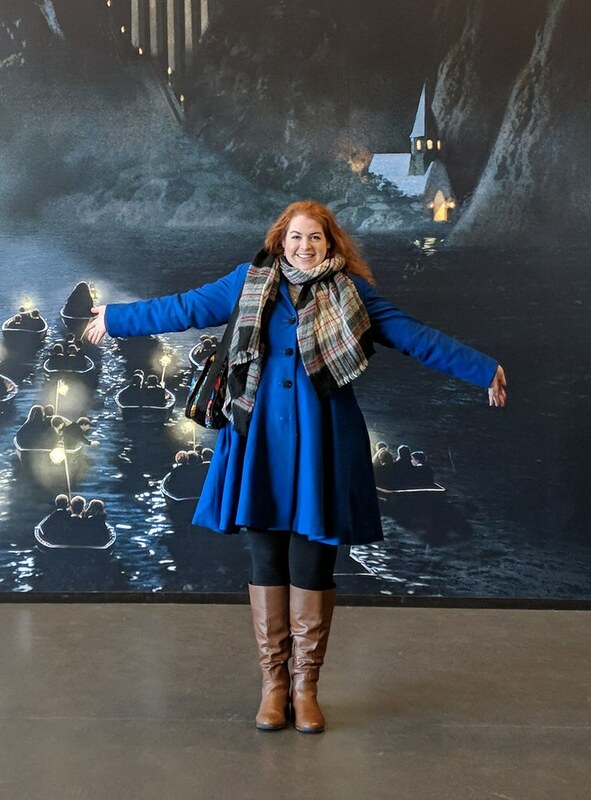 Anyway, yesterday after seeing Shape of Water (which was good, but not nearly as good as Three Billboards), I came home and tried on the mockup. It was not terribly far off - way too huge in the CB seam (like, literally, by about 3" - not sure how that happened), and too long for the 30s, which makes sense. 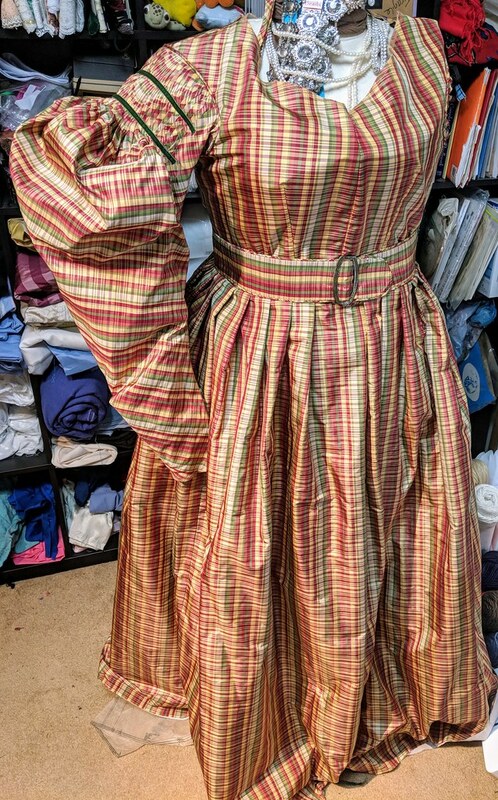 And it needed a different neckline, which I still haven't finalized, and will probably have to decide on once I start assembling it in the plaid. 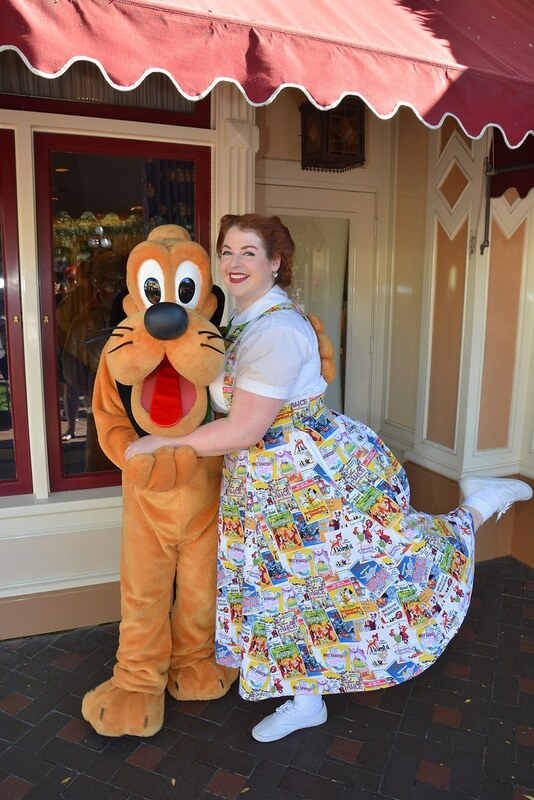 I also determined my skirt length, which I made 4" longer than my Archery dress skirt. 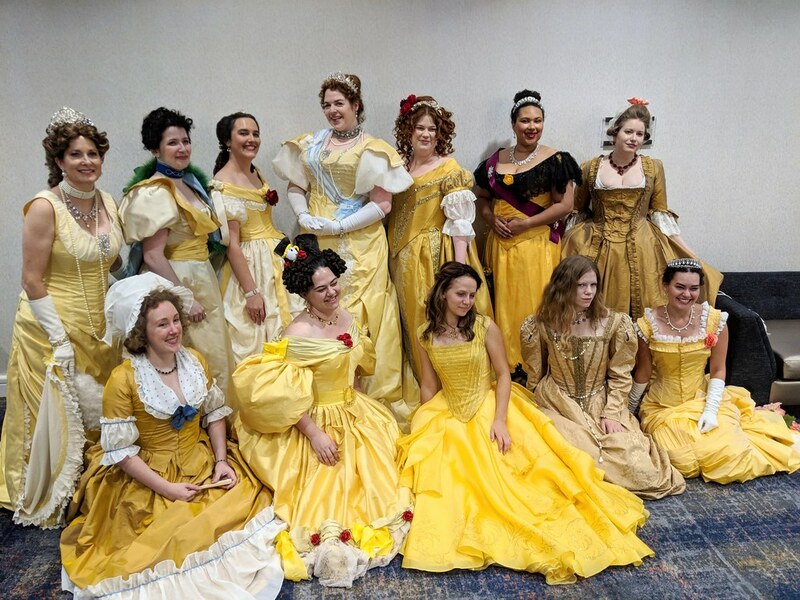 I cut out all the bodice pieces and flatlined them. 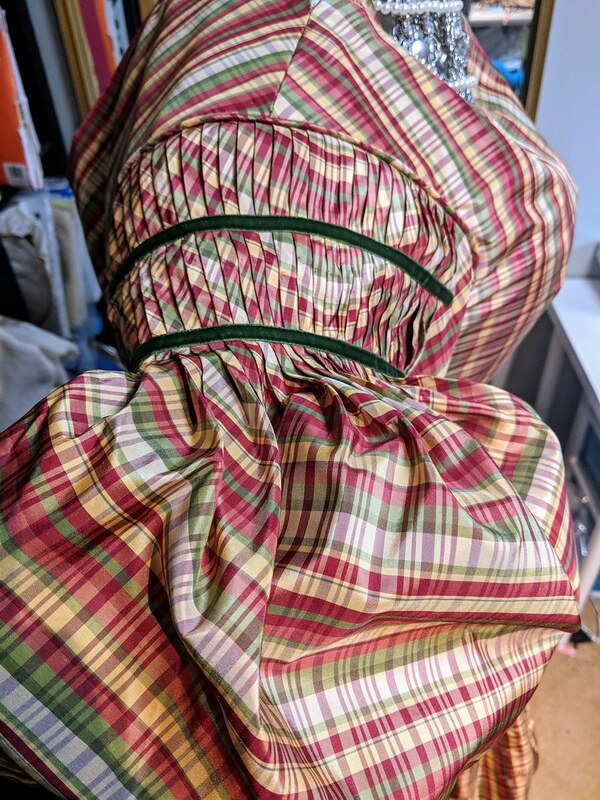 It was really hard to match up the plaids exactly on each of the fronts/backs/sides, etc (I don't care about attempting to match them on seams, but I at least want them to be mirror images of each other). Hopefully that doesn't mean that the grain is all screwy... I also cut out my skirt pieces, and the pieces for the belt (I'm going to use the spare plain brass buckle I got for the Titanic dress). 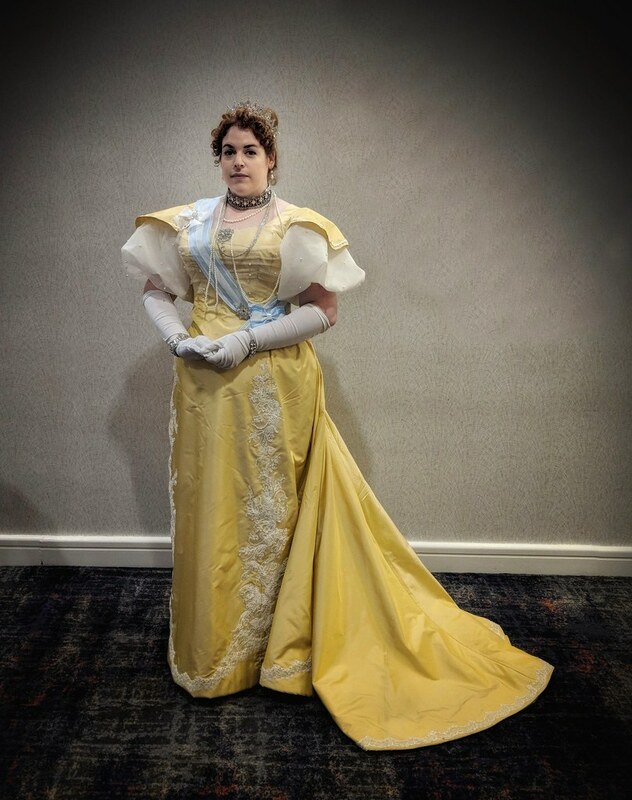 And I sewed my bodice darts. I have to run errands today and I have rehearsal tonight, so I'm not sure I'll get any sewing done today, but at least assembling all the cut out pieces will be fairly easy (though I do have to make piping). 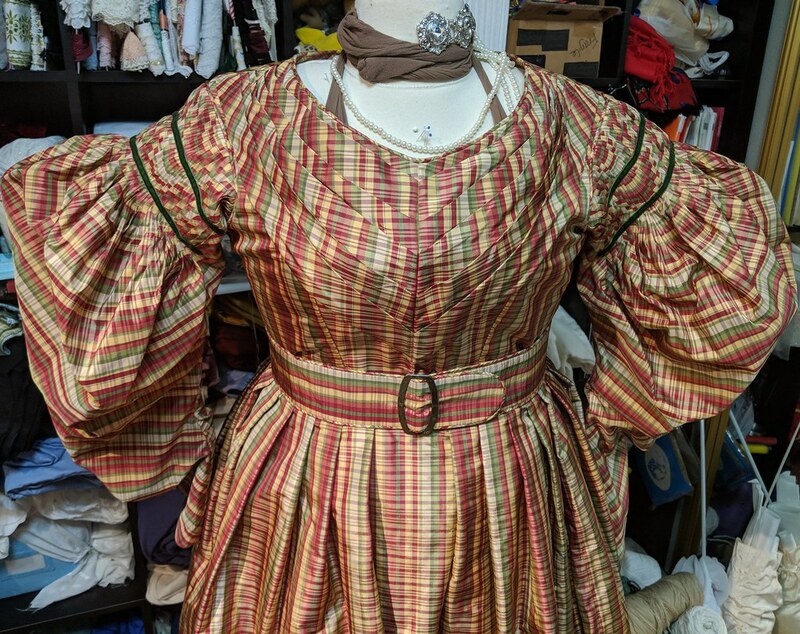 Then I have to determine the sleeve, and how to do the pleated bertha decoration (technically, I should be doing the bertha first, since it is sewn into the CF seam, but I will probably sew the seam shut first, then figure out the bertha, undo the seam, and put the bertha in place). It would be great if this could all come together by the end of next weekend, which I think might actually be doable! 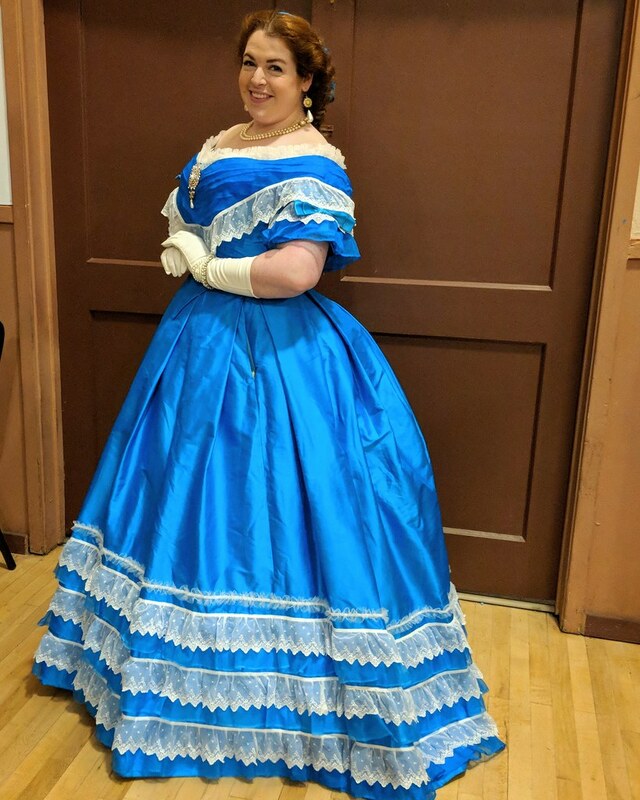 After posting a couple days ago that I'm switching gears to the 1830s dress, I went to go start it yesterday, and realized I had coat pieces all over my sewing table. And then my brain said, if you don't put these coat pieces together, then you'll lose them (probably true). 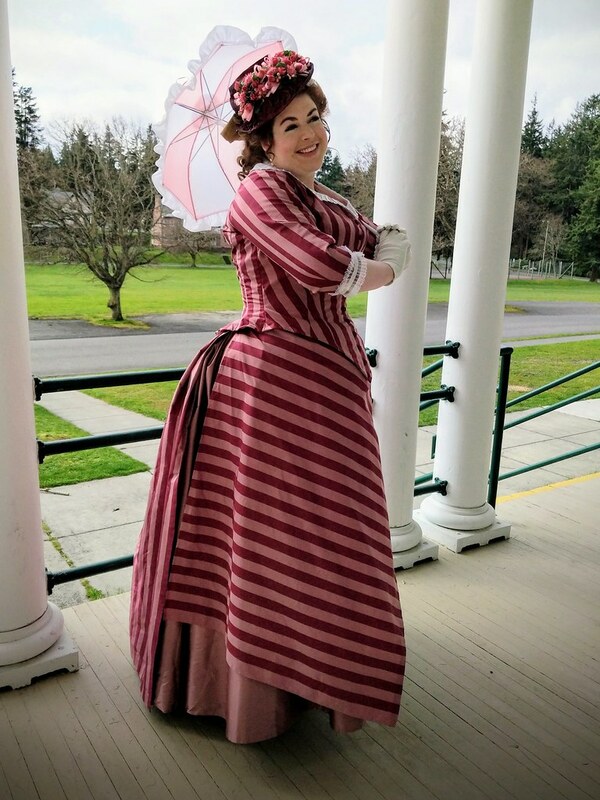 So instead of working on the 1830s dress, I put together my coat. I assembled all the outer body pieces and all the lining body pieces. I didn't do sleeves or the hood or anything like that, so those will wait, but I did cut out the outer pockets, since I had to put those in before I completed the outer body. And I added two inner pockets onto the lining, where I can keep my passport or other things that need to be more secure. 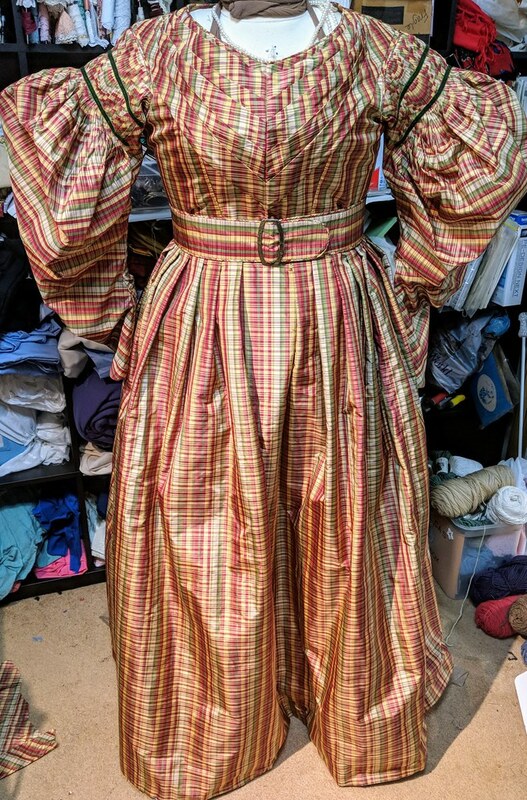 Now that those pieces have all been assembled (which took most of yesterday), I can try on the mock-up for the 1830s dress, which right now is just my 1860s pattern. 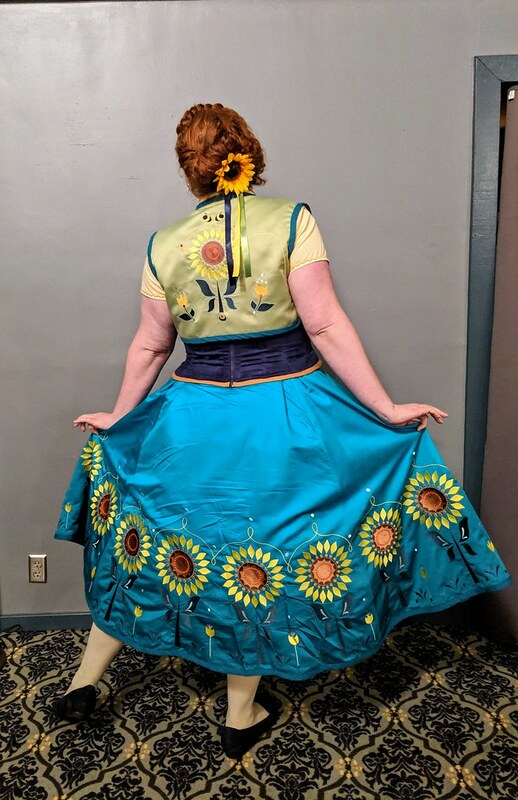 I also want to see how long I want this skirt, since I want it a couple inches longer than my archery dress shirt skirt, which is also a separate skirt, be and this will be attached to the bodice. I think I might go a little later 30s, at least for now, and pleat down the top of the sleeve. Hopefully, that can be undone later if I change my mind. 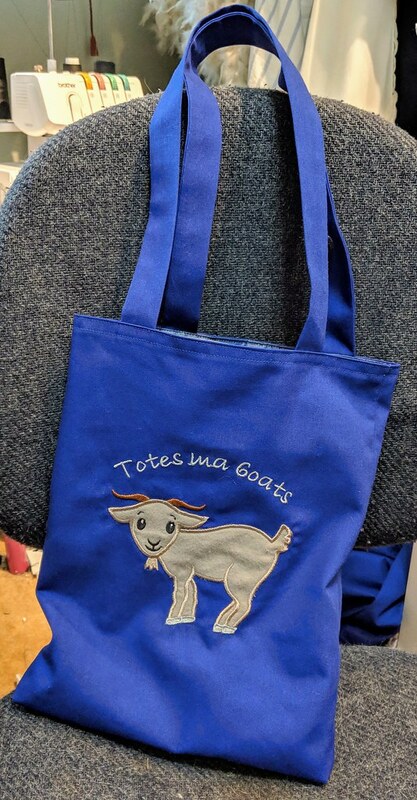 So anyway, I'm going to go see Shape of Water first today, then sew for the rest of the day. I saw Three Billboards yesterday, and it was soooo good. Slight change of plans to my timeline. 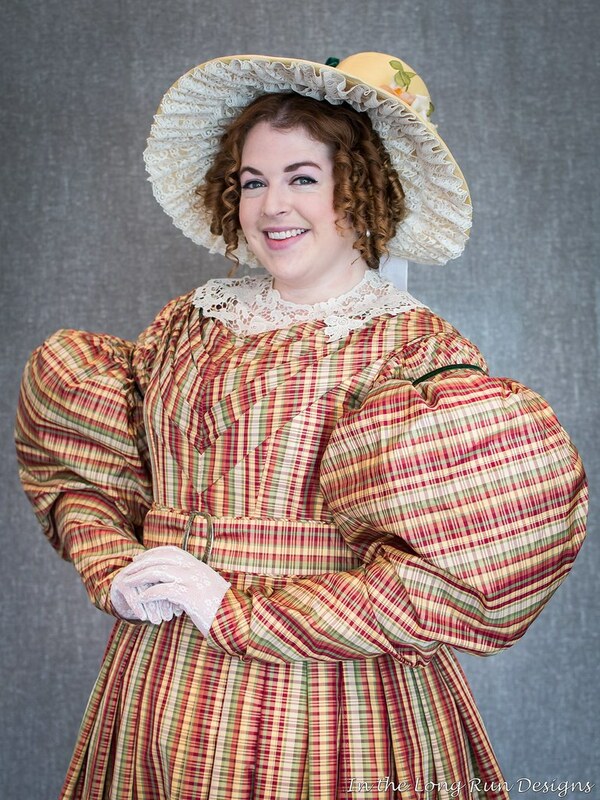 It turns out that the plaid 1830s dress fits pretty well with the costumer's vision for me as Widow Corney in Oliver. So I'm bumping that up to now. Then I'll finish my coat, then work on everything else. Because I need this one by about January 29th! And of course, naturally, I can't find my 1830s draft anywhere. 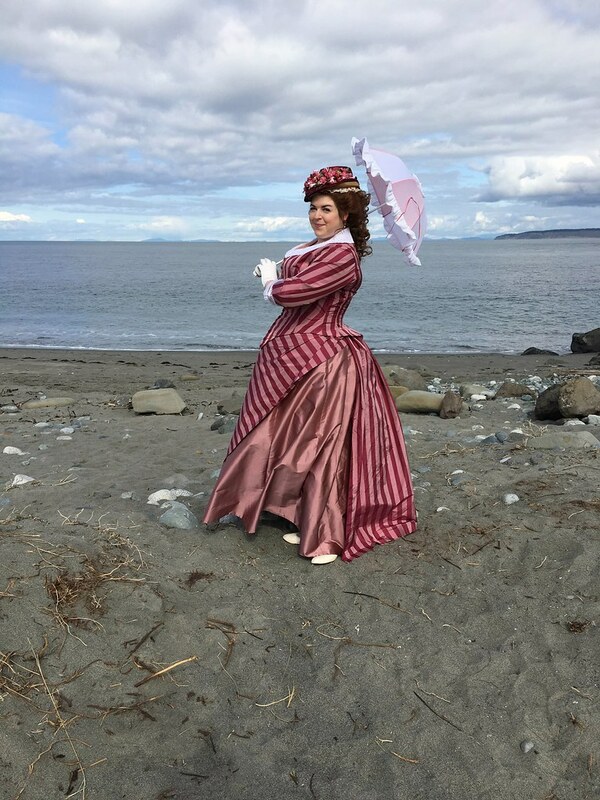 I believe I started with my old pink candy 1860s bodice, but I was sure I saved a draft when I mocked that up to 1830s a few years ago. 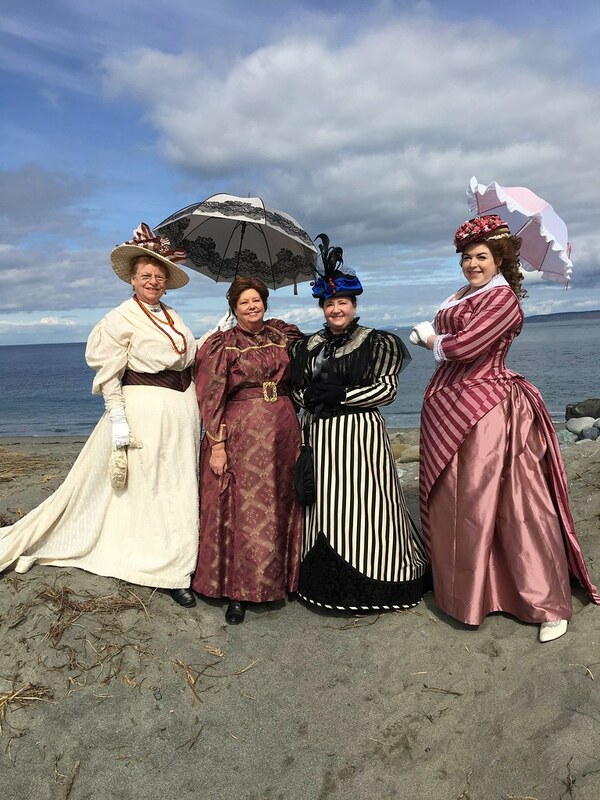 I can find the pink candy draft, but not the 1830s. So unfortunately, it won't be quite as easy as I was hoping. 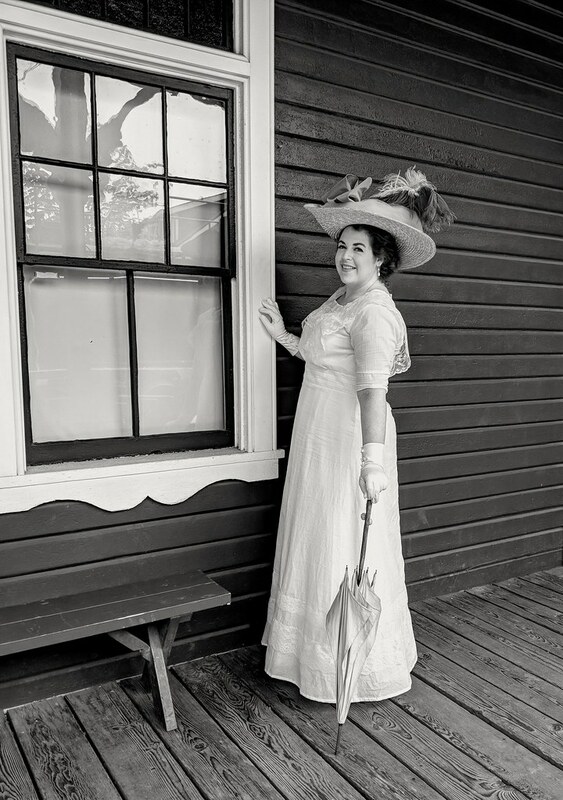 Luckily, 1830s goes together fairly easily, so hopefully it shouldn't be too difficult! 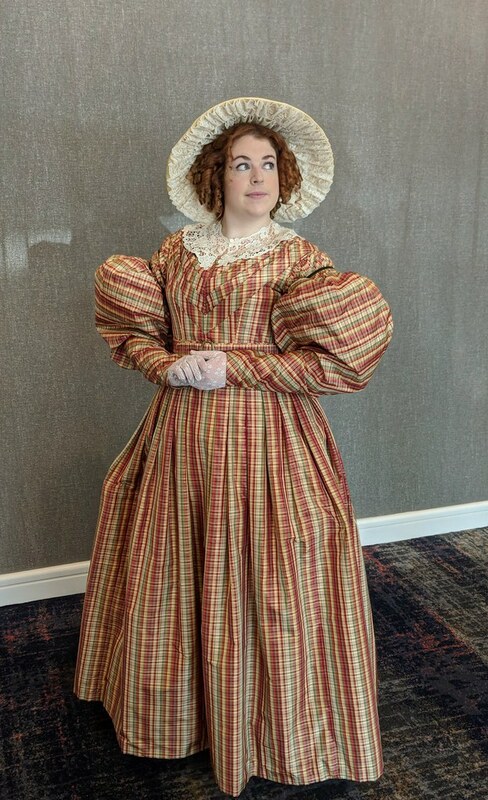 Of course, for Widow Corney, I also want to make a giant 1830s cap and a floofy pelerine, if I have time. Not as decorative as this, of course, but maybe something similar. Would this be out of really lightweight linen, or cotton, or what?